First day of testing the Porsche went very well. 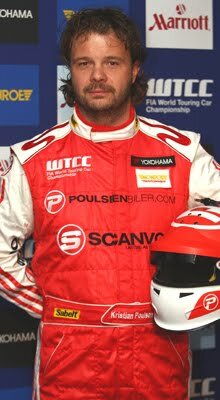 "It´s the best experience I´ve ever had in a race car", said Kristian Poulsen - with a big smile on his face - after the first day behind the weels of the Porsche. I is nothing like I ever imagined...Fantastic. 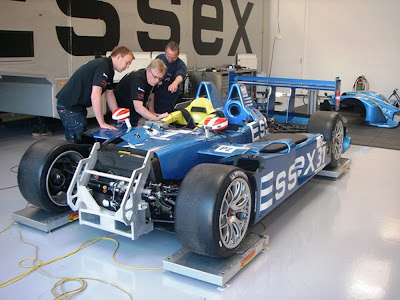 The team is very professional, everybody knows what to do - so all I have to worry about is driving the car. 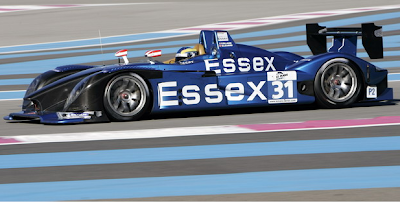 Kristian Poulsen and the Essex Le Mans Team are testing at the Bugatti Circuit in Le Mans - France. 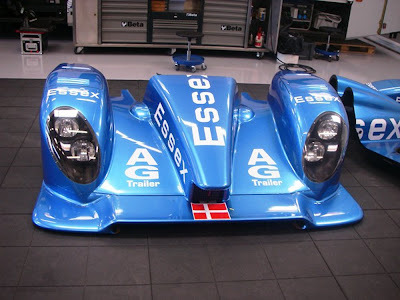 It is the first time Kristian is getting to drive the Porsche RS Spyder. Team mates Casper Elgaard and Emmanuel Collard are there to support with their experience. 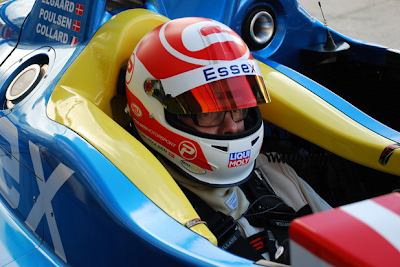 Most of todays test is about Kristian getting to know the car and testing new parts for the porsche. 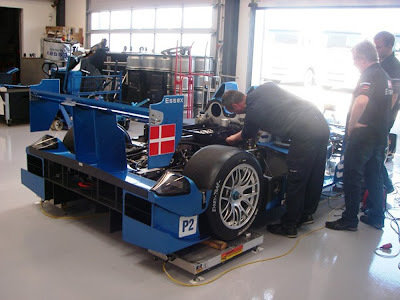 Preparations for the test at Bugatti next weekend are keeping everybody at Poulsen Motorsport busy these days.